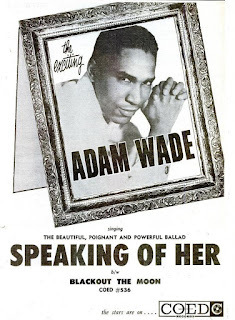 Here are several songs performed by the great singer Adam Wade. 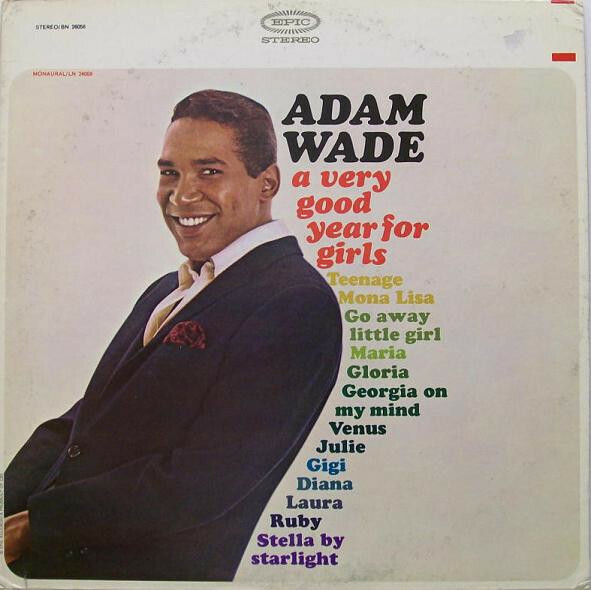 Adam Wade (born Patrick Henry Wade, in 1935) is an American singer, drummer and television actor. 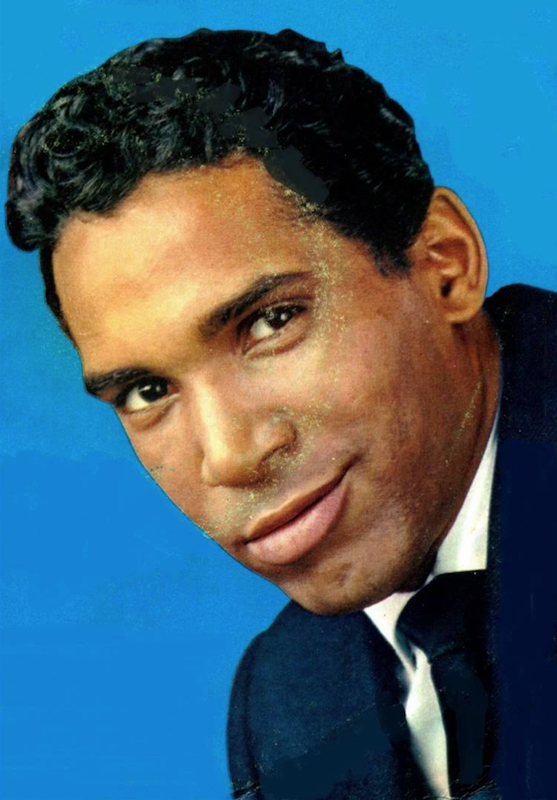 He is noted for his stint as the host of the 1975 CBS game show Musical Chairs, which made him the first African-American game show host. Wade worked for a time as a lab assistant with Dr. Jonas Salk on the polio research team. 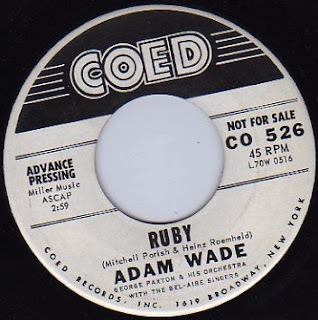 He wanted to pursue a recording career and signed with Coed Records in late 1959. He had his first major hit with a song called "Ruby" in early 1960, a cover of the hit movie song of 1953. 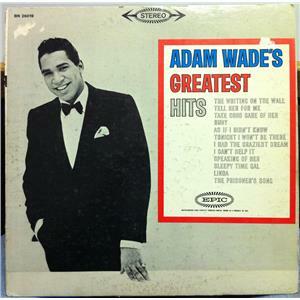 Wade was popular in the early 1960s with vocal styling similar to that of Johnny Mathis. 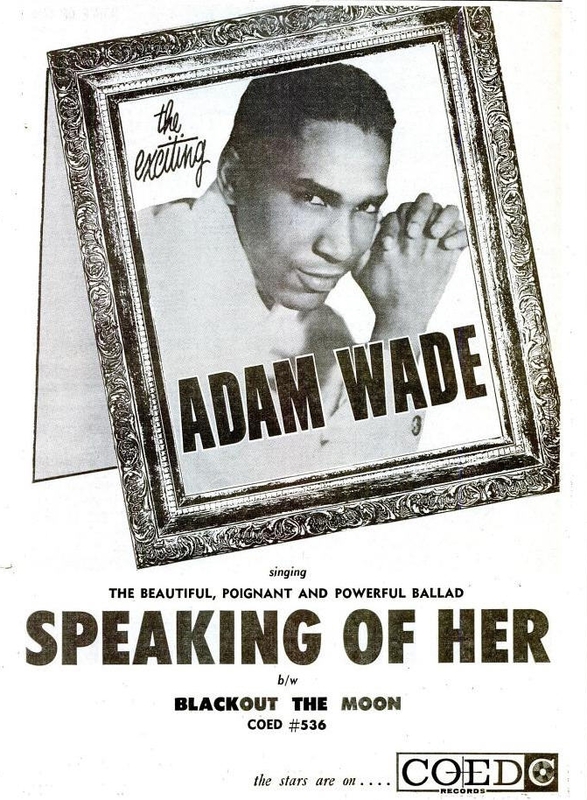 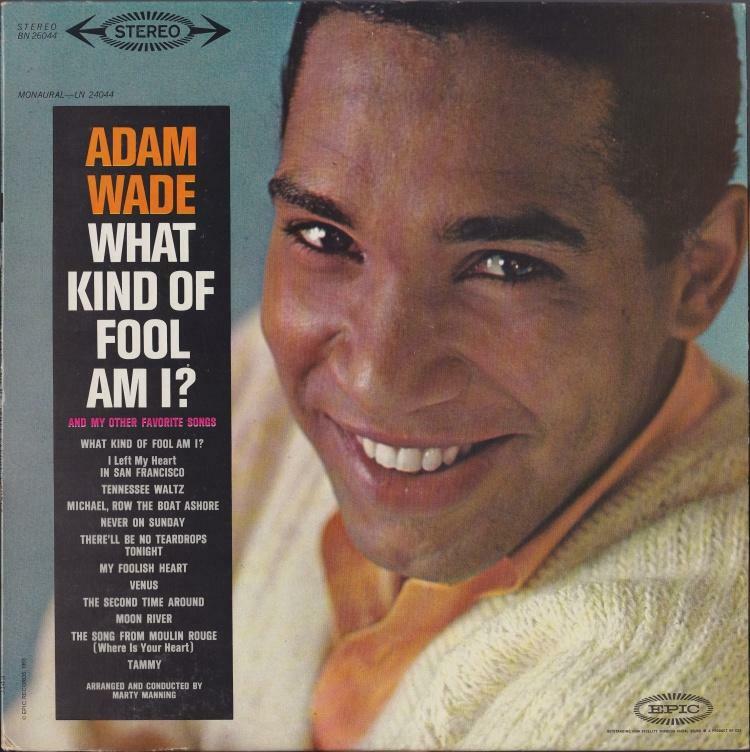 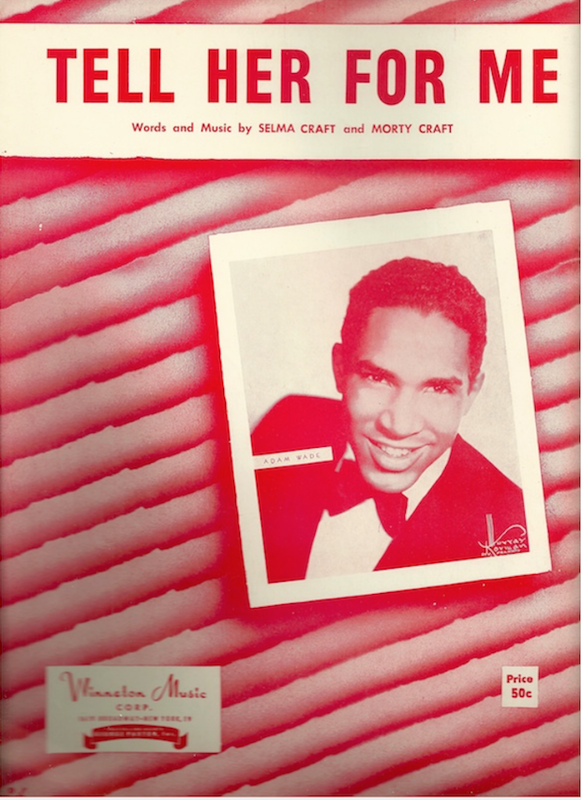 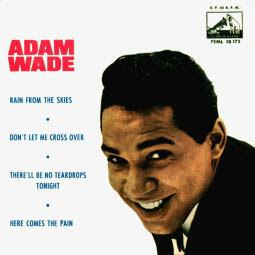 In 1961 three of Wade's recordings ("Take Good Care of Her" (#7), "As If I Didn't Know" (#10) and "The Writing on the Wall" (#5) made the Top Ten in the Billboard Hot 100 chart. 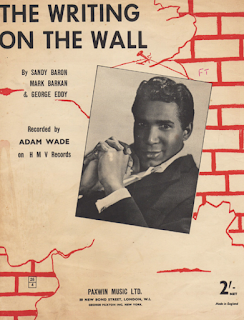 These songs also made the Top Five of Billboard's Easy Listening (later Adult Contemporary) survey. 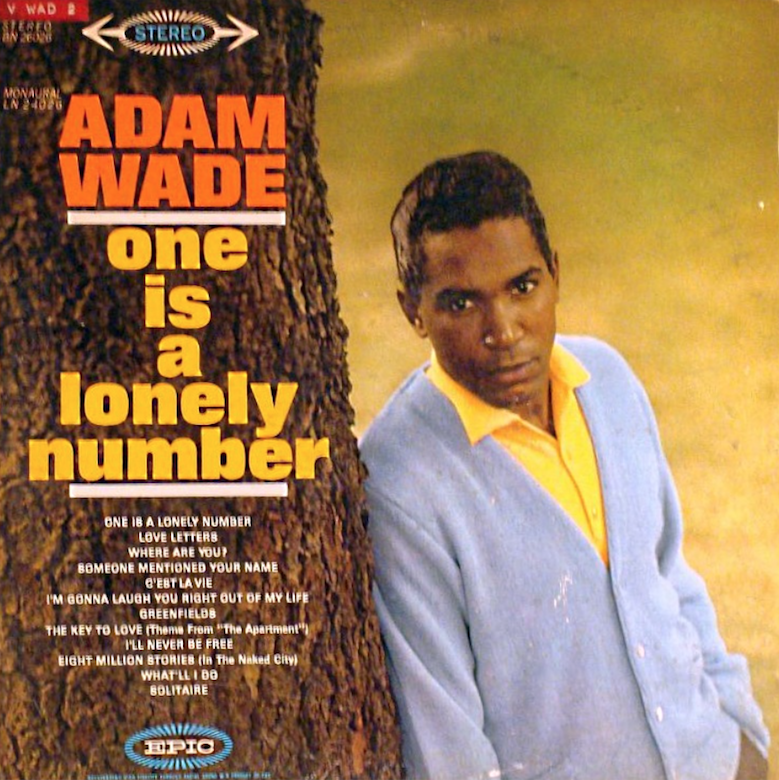 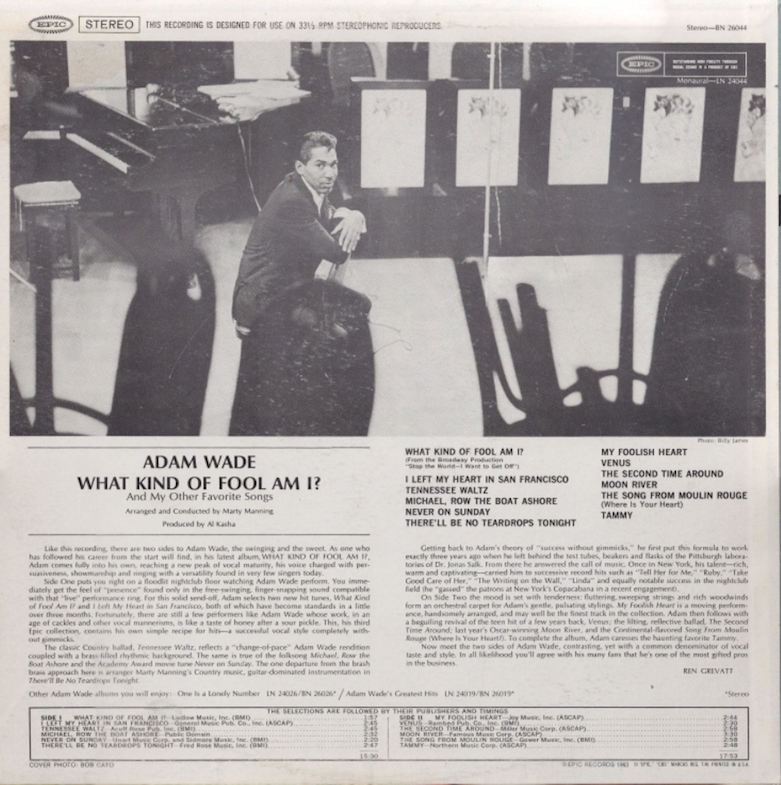 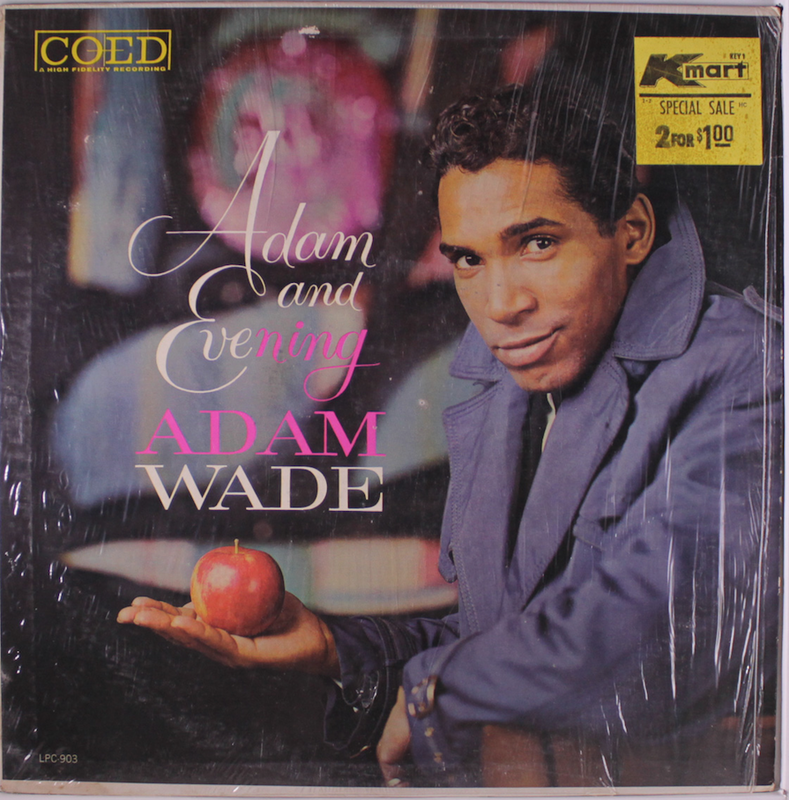 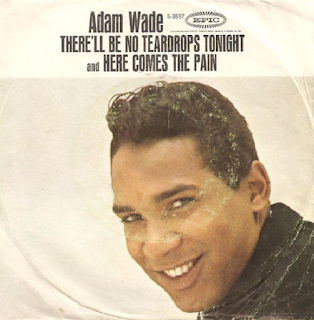 He released the following albums in the UK: Adam and Evening in 1961, Adam Wade One Is A Lonely Number in 1962. He also released an EP in 1960, And Then Came Adam. 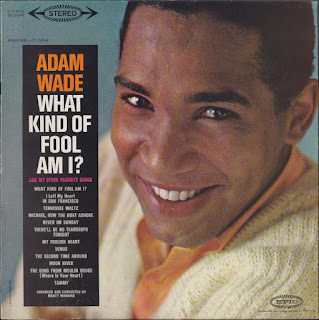 In 1975, Wade become the first African-American to host a television game show, with the premiere of Musical Chairs. 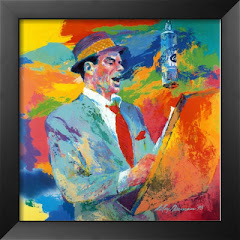 He starred in the production Guys and Dolls in 1978, and hosted the talk show Mid-Morning LA. On TV he was seen in the soaps "The Guiding Light" and "Search for Tomorrow," and was a familiar presence on the popular black-oriented sitcoms such as "Sanford & Son," "The Jeffersons," "What's Happening" and "Good Times. 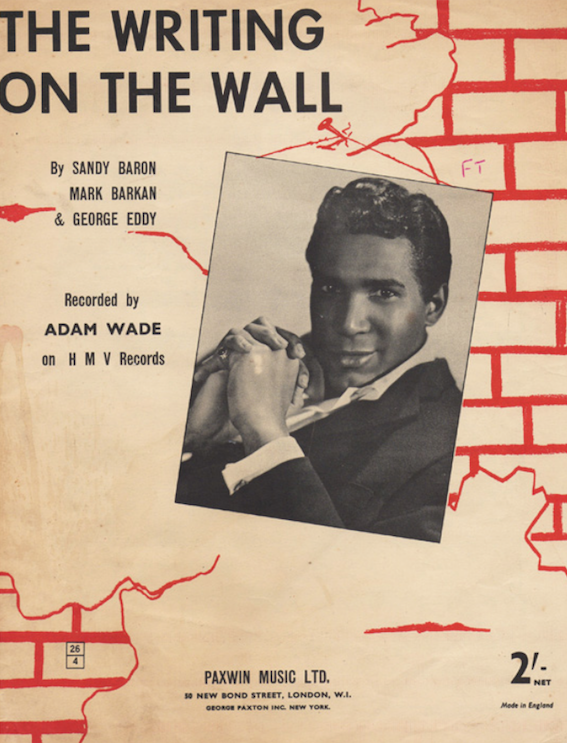 His handsome face lit up the room and allowed his natural mannerism to take over the scene. In the late 1970s and early 1980s Wade began to concentrate on acting, and appeared in several of the so-called blaxploitation movies, including Gordon's War. 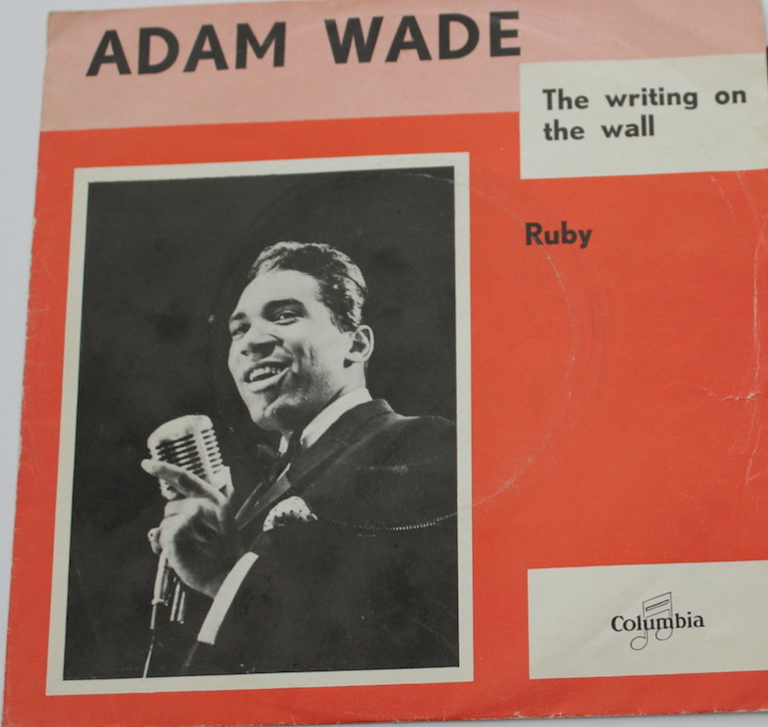 He briefly returned to recording, producing a self-titled album on the Kirschner record label. 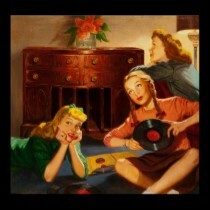 This was a venture into a more soulful singing genre. It is still a favorite with his loyal fans. 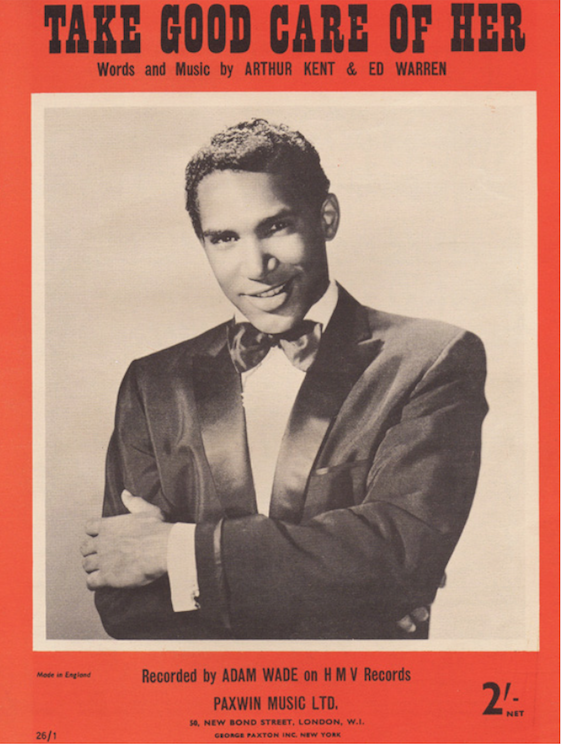 His latest theatrical appearance was with the 2008 touring company of the play The Color Purple. 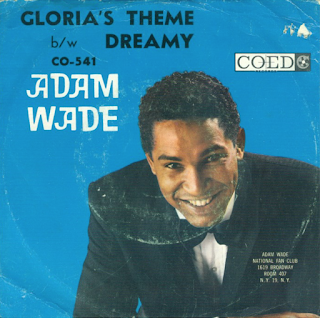 Wade and his wife have a music production firm, Songbird, whose headquarters are in New Jersey.